Fat is where it's at. 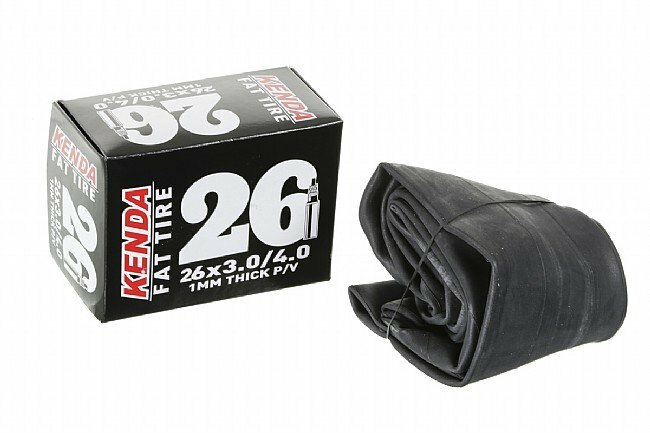 Big tires need big tubes, and Kenda makes them specifically for your 26" fat bike with these Presta valve, standard weight butyl inner tubes. A 1 mm wall thickness ensures plenty of durability over rough terrain, and they're available in multiple widths from the merely fat to the outrageously huge. Nice tube for my 45north Dillinger 5.0 studded tires. No worries about leaking tubeless drying Stan's. Yes it weighs a bit more, but completely reliable.